Giants spring training is quickly coming to an end, and the final 25-man roster remains a headscratcher. There’s lots of competition all over the diamond for outfield jobs, rotation spots, bullpen jobs, and bench roles. The one area that remains the biggest question mark heading into the season is the over-crowded bullpen. Marty Lurie joined Gary & Larry Tuesday afternoon to discuss the upcoming roster crunch the team will endure throughout the final week of camp. With an abundance of relievers, including some promising new arms, tough decisions are going to be made, and that could include Mark Melancon. 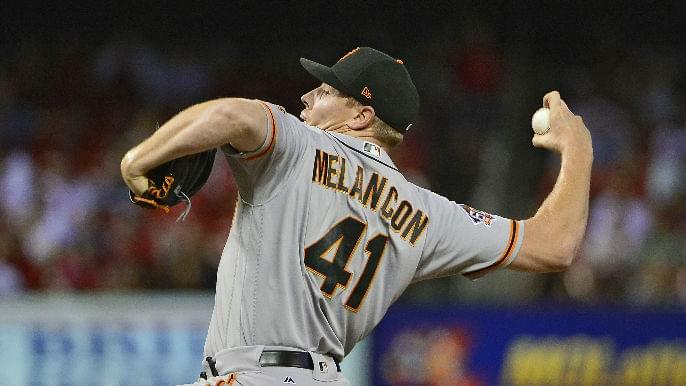 Throughout his first two seasons with the Giants, Melancon has been far from impressive. Struggling in 2017 and 2018, Melancon has battled multiple injuries as well. Signing a four-year, $62 million contract with the Giants before the 2017 season, Melancon’s contract remains the lone reason to keep him on board, but even that might not be enough. In years past, the Giants front office would likely stick with the players they’ve invested a lot of money in. With Farhan Zaidi taking over, that may change if he believes the roster spot could be used better on someone else. Melancon was signed to a large contract to be the teams closer after a disastrous 2016 season closing out games. Going into 2019, the Giants have multiple ninth-inning options they can turn to, and Melancon is not one of them. Following Lurie’s sit-down with Gary & Larry on Tuesday, Mike Krukow joined Murph & Mac Wednesday morning to give his thoughts on the remainder of spring training. He doubled-down on the notion that Melancon could be on the outs come Opening Day. Tough decisions are coming for Zaidi and the Giants, as they work through the obstacle that is assembling a crowded roster.